Your Dynamics CRM Online plan is being retired. When it's time to renew, you'll need to renew using the new Dynamics 365 for Customer Engagement apps plans. To learn more about your options, see Important information for CRM Online customers. 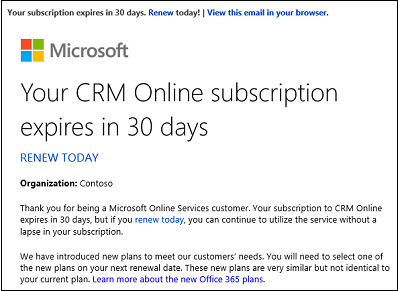 If you're an existing Dynamics CRM Online customer, you will be notified when your subscription will expire. At that time, you'll need to start a new subscription with one of the new Customer Engagement apps licenses. You can switch before you receive the expiration notice. The easiest way to switch plans is to use the Switch plans button in the Microsoft 365 admin center which launches a wizard. However, using the Switch plans button isn’t supported in all situations. In some cases, you might want or need to switch plans manually. You want to simplify the renewal process. You're going to assign all your users to the same Customer Engagement plan. See Use the Switch plans wizard. You want more control of the renewal process. You have a mix of Customer Engagement plans to assign users to. You're going to purchase fewer licenses in the Customer Engagement plan than you currently have in your CRM Online plan. When you click the Switch plans button, you're led through the process of buying a new plan that you can switch your current plan to. Leads you through the process of buying a new plan. Reassigns all user licenses from your old plan to the new plan. To renew to Customer Engagement using the Switch plans wizard, follow these steps. If you have a Partner of Record, take note of the Partner ID to use later. 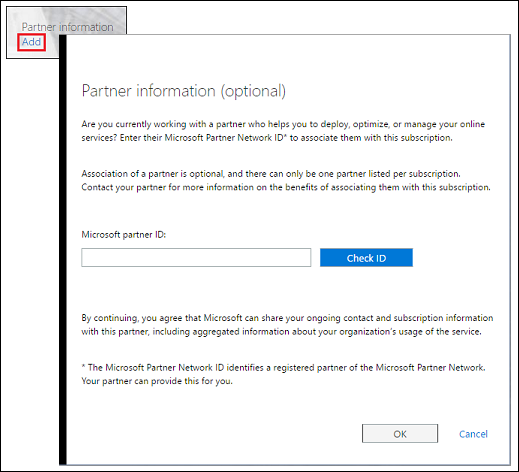 Under Active, click More actions > Edit partner of record and record the ID number. 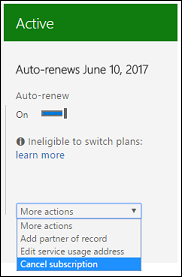 Select the plan to renew, and then click Switch plans. Mouse over the subscription you want to switch to, and then click Buy now. If you need to purchase a mix of plans, each plan must be purchased separately in order to apply promo codes for discounted pricing and to assign licenses. Choose a plan to switch to. In the Checkout Step 1 page, click Have a promo or discount code?, enter a promo code, and then click Apply promo code. For current CRM Online customers, we are offering discounted pricing on Customer Engagement plans when you transition. Click on your subscription type to find your promo code, then return and complete the remaining steps. If you're considering a mix of plans, you must complete that transition in a separate transaction with each promo code. Click Next. On the Checkout Step 2 page, if you have a partner, click Add in the right-side of the page, and then use the Partner ID you recorded above. Fill in the information, and then click Place order. Switching plans manually means completing the following separate procedures instead of using the switch plans wizard. Buy licenses for the new subscription. Verify the new subscription is ready to use. Remove unneeded licenses from the subscription you’re switching from. To manually switch users to another Customer Engagement subscription, complete the following phases in the order shown. Phase 1: Buy user licenses for a Customer Engagement subscription. Phase 2: Verify that your subscription has the right number of licenses. Phase 3: Reassign user licenses. Phase 4: Cancel the CRM Online subscription. Above Active, click + Add subscriptions and select the offer for the service you want and proceed through the purchase process. Adjust the plan options, and then click Add to cart. In your cart, click Add-ons to add Add-ons like an additional non-Production instance or more storage. To see which add-ons are included with Customer Engagement plans, see Important information for CRM Online customers. Click Check out in your cart. It’s important to make sure that all the services inside your new subscription have been set up before moving on to the next phase. If the subscription isn’t ready when you first check, try again later. If you purchased a subscription by invoice and a credit check is required, it can take up to two business days before the subscription is available. Make sure that the Customer Engagement subscriptions appear under Active, and that the number of purchased licenses is correct. 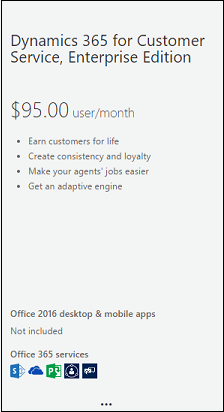 You can use the Microsoft 365 admin center to reassign licenses for up to 20 users at a time. If you have a lot of users, you can optionally use Remote PowerShell to assign user licenses. To learn how, see Use Office 365 PowerShell to assign licenses to user accounts. Select the boxes next to the names of the users that you want to move to the Customer Engagement subscriptions. In the Bulk actions-pane, choose Edit product licenses. Select Replace existing product license assignments > Next. Toggle the switches to Off to remove a license and On to add a license to users. When you’re done, choose Replace > Close. Once you've moved all your Dynamics CRM Online users to Customer Engagement plans, you're ready to cancel your Dynamics CRM Online subscription. 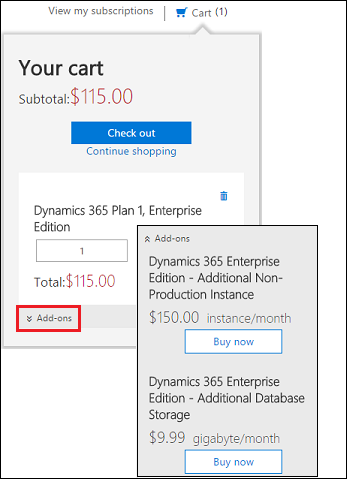 Be sure to assign Customer Engagement licenses to all your users before cancelling your Dynamics CRM Online subscription so current users don't lose access. 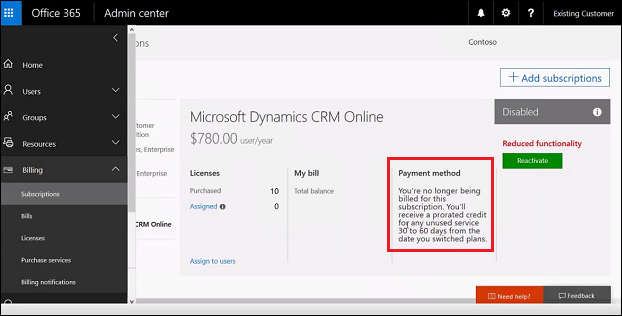 Choose Billing > Subscriptions and select your Dynamics CRM Online subscription. On the right-hand side of the page, click More actions > Cancel subscription. 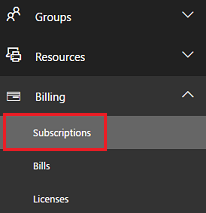 Fill in the information on the Cancel subscription page, and the click Cancel subscription. You're no longer being billed for the subscription. You'll receive a prorated credit for any unused service 30 to 60 days from the date you switched plans. The subscription is disabled with reduced functionality. What happens to my data when I switch to a Dynamics 365 for Customer Engagement apps subscription? Your data, user records, customization, etc. are stored in your tenant and are not tied directly to a specific CRM Online subscription. When you switch to a Customer Engagement subscription, the new licenses provide access to your existing CRM organization and will not lead to any loss of data. 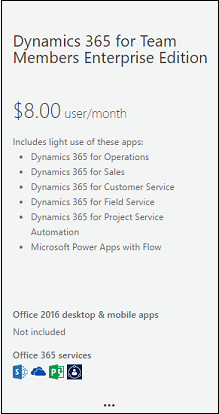 What happens if I do not switch to a Dynamics 365 for Customer Engagement apps subscription? If you do not switch to a Customer Engagement subscription before the term end date, the CRM Online subscription will enter into an expired state for 90 days for most subscriptions, in most countries and regions. At the end of the expired state, the subscription moves into the disabled state, which is 90 days for most subscriptions, in most countries and regions. We recommend that you back up your data before the subscription is disabled, but as an admin, you can still access and back up data for your organization while it is in the disabled state. Any customer data that you leave behind may be deleted after 90 days, and will be deleted no later than 180 days after cancellation. Here's what to expect for you and your users if your subscription is disabled. 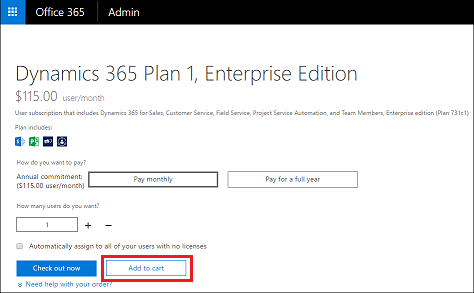 Admin access: Admins can still sign in and access the Microsoft 365 admin center, and buy other Office 365 subscriptions as needed. As a global or billing admin, you have 90 days to reactivate the subscription with all data intact. 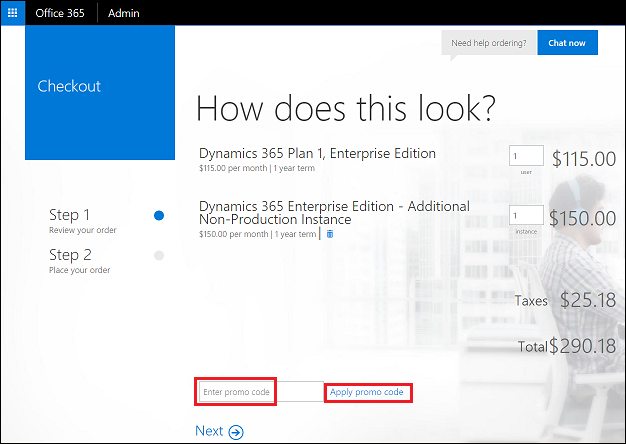 User access: Your users won't be able to use Office 365 services like OneDrive for Business, or access customer data—for example, email or documents on team sites. Office applications, like Word and Excel, will eventually move into a read-only, reduced functionality mode and display Unlicensed Product notifications. As an admin for Dynamics 365 for Customer Engagement, you get free access to our knowledgeable support agents for pre-sales, account, and billing support, as well as for help resolving technical issues. You can also contact support on behalf of Dynamics 365 for Customer Engagement apps users in your organization. 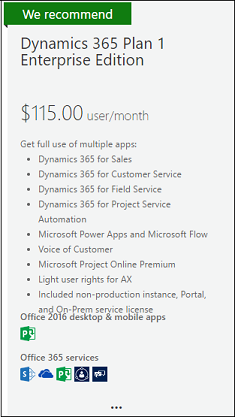 See Billing and subscription support.